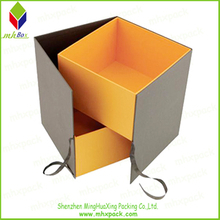 paper box,cosmetic box,lid and base box,gift box,christmas box– Shenzhen MingHuaXing Packing Co., Ltd.
DongGuan MingHuaXing Packing Co., Ltd. Was established on May, 2000, with construction area of nearly 10, 100 square meters and more than 350 employees, which is a professional paper packing manufacturer. 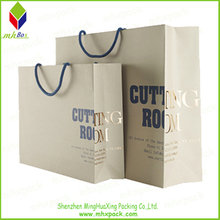 MingHuaXing as one of the professional printing and packaging service institute, which is based on Shenzhen, geared to the needs of the world. This is mainly thanks to our excellent work team with dedicated enthusiasm and impregnable faith, the most important is thanks to the reliance and support of our old and new clients. We MingHuaXing will always offer our client with professional service and high quality products to create a greater value to all our clients. At present, MingHuaXing company has the most advanced printing and post-process corollary equipments, such as German Heidelberg printing machine, paper-cutting machine, automatic die-cutting machine, automatic laminating machine, automatic mounted machine, automatic foil stamping machine, UV coating machine, and refraction embossing machine, automatic box-gluing machine etc. 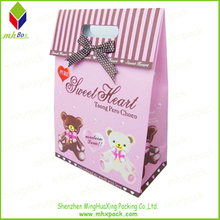 Our company is mainly engages in high quality gift box, cosmetic box, Christmas box,lid and bae box,Paper box,foldable magnet box,clamshell box,book style box,drawer style box,electronic paper box,candle box,perfume box, wine box, chocolate box, card box, gift bags,paper bags, cylinder, etc. MingHuaXing inherits the philosophy of develop by credit standing, benefit by management and survive by quality to successivelly improve the internal management system and joint with the international level. At present, the company has passed ISO9001: 2008 international quality managerment system certification. From the strict control of raw materials inspection to all the process of production, the high product quality is a strong guarantee of the product image of our clients. Unflagging pursuit of excellence is the key that we can succeed. The high speed of market reflection, the fastest delivery time, guide of client, satisfaction rule, mutual benefit idea of ervice, all those factors let our Fuxingsheng can set up a firm foot in printing industrial area. Meanwhile, we pay more attention to the friendly eco-environment during our production, and push the plan of green environment protection, so as to show our society responsibility and try to perfect our client service. We perfom the plan through the way from purchasing raw materialsto every process of production. So that we can try our best to close the international orbital of green environment protection. We have all the related eqipments for printing and packaging Box.It include 4c Hedeberge Printing Machine,UV varnishing machine,lamination machine,die-cut machine,foil-stamping machine,etc.